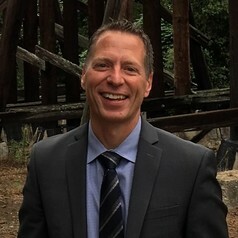 Anthony J. Marchese is Associate Dean and Professor Mechanical Engineering in the Walter Scott, Jr. College of Engineering and Energy Institute at Colorado State University. Marchese holds a Ph.D. and M.A. in Mechanical and Aerospace Engineering from Princeton University and B.S. and M.S. degrees from Rensselaer Polytechnic Institute. His research areas include internal combustion engines, alternative fuels, combustion, chemical kinetics, microgravity experiments, methane emissions and biomass cookstoves. His current research projects include biodiesel chemical kinetics, pollutant formation from algae-based biofuels, exhaust emissions from algal methyl esters, locomotive engine emissions, ultrasonic harvesting of microalgae, dual fuel diesel/natural gas engines, biomass gasifier cookstoves and methane emissions from the natural gas supply chain. He is currently the Past Chair of the U.S. Western States Section of the Combustion Institute. From 2013 to 2016, he was the Principal Investigator on a $1.9 Million study organized by the Environmental Defense Fund aimed at quantifying total methane emissions from the gathering and processing sectors of the natural gas supply chain. From 2010 to 2013, he served as the fuel conversion team leader for the National Alliance for Advanced Biofuels and Bioproducts, a $50 Million DOE algal biofuel consortium. Marchese teaches courses in combustion, thermodynamics, heat transfer, fluid mechanics and product design. Marchese has previously held positions at Rowan University, United Technologies Research Center in East Hartford, CT and NASA Glenn Research Center in Cleveland, OH. He is the holder of numerous United States Patents and is a member of Tau Beta Pi, Sigma Xi, Pi Tau Sigma, The Combustion Institute, AIAA, ASME, SAE and ASEE. In 2001, he was named a Carnegie Scholar by the Carnegie Foundation for the Advancement of Teaching and in 2004 he was awarded the ASEE Kauffman Outstanding Entrepreneurship Educator Award.